Get a better way to store your REJECTED tags. 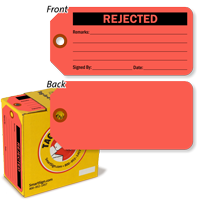 Red tags are used to isolate rejected parts - and are stored in a convenient dispenser box. • Flag rejected parts with easy-to-use, color-coded tags. • Tags are made of cardstock with a fiber reinforced patch for strength. They are durable indoors. For outside use, order the optional vinyl tag holders. 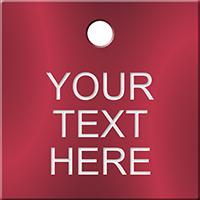 • Tags have rounded corners for a professional look. 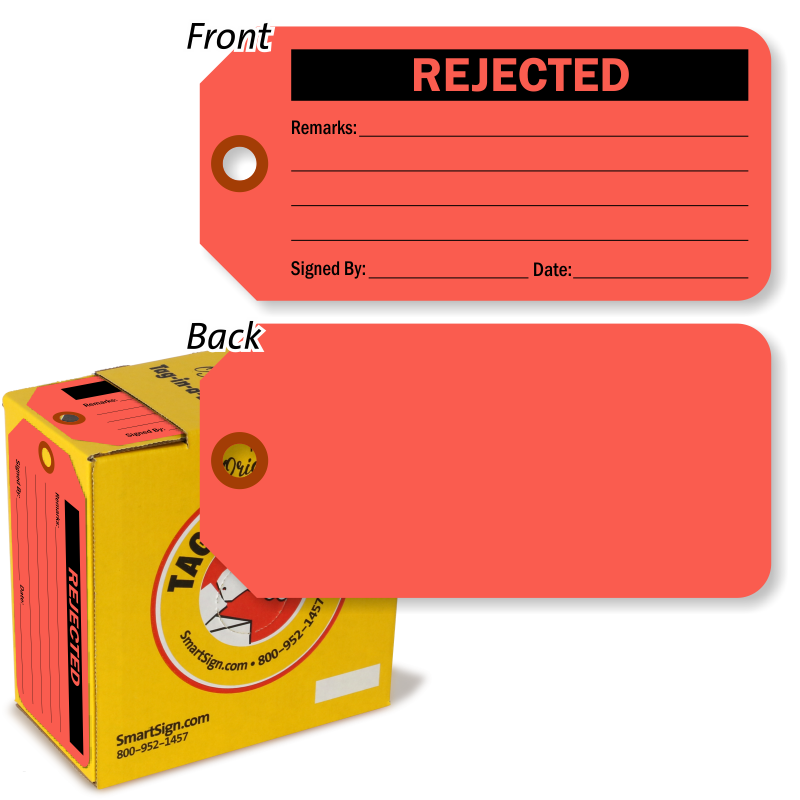 • Tag has space to optionally write notes describing the rejected items. The back of the tag is blank. • Fluorescent tags are hard to miss. Bright and bold colors are easily noticeable by employees. 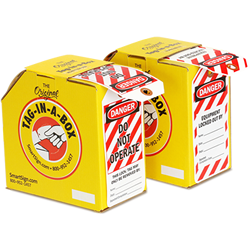 • Tags come perforated on a roll in a convenient tag dispenser box. 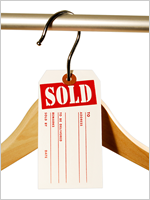 Simply feed the tags out the slot and tear off tags when needed. 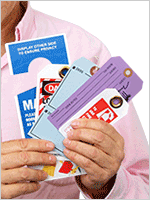 • Most tags use a 3/8" reinforced fiber patch for superior tear resistance. These tags have a greater pull strength than other unreinforced tags that are not augmented with this patch and rip easily when tugged on. • Made of 10-13pt paper cardstock. 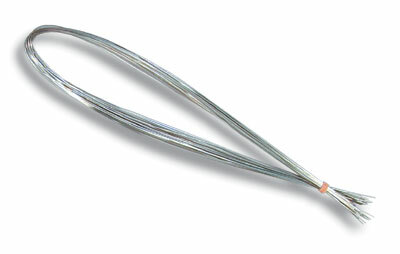 • Options provided at an additional cost include wiring, strings and plastic ties. • Not recommended for outdoors - although many customers order vinyl pouches as an accessory to help increase outdooor weather resistance.